No Columbus Day In LA (or San Francisco) – Gone With The Wind! Roanoke Times, 8-31-2017, Pg 7: LA City Council voted to replace Columbus Day with Indigenous Peoples Day. There is just no end to the Obama Revisionist-History Jihad! Instead of Banning ‘Gone With The Wind’ movies and books, perhaps it should become the basis for a postmortem Court Marshal for Crimes Against Humanity committed by Gen. Sherman in his campaign against ‘domestic civilian Americans’ down the Shenandoah Valley and his “March To The Sea”! Oh Right -- Winston Churchill reminded us that the history books are written by the victors; who also have the right to ban and burn those books and stories they dislike! How sad is all this! They sure burned a lot of books in Fahrenheit 451 - Déjà Vu ! Police additionally told NBC affiliate WNBC they’re looking into whether it was inspired by the violence in Charlottesville, Va., which was partially sparked by the removal of a Robert E. Lee statue. Since that time New York City and other municipalities have considered removing statues of Columbus — whose legacy has been criticized for his treatment of native populations. Now they’ve gone and done it! A statue too far! Do they not know they have disrespected a major figure of the Italian-American community? Have they not seen the God Father and Goodfellas? 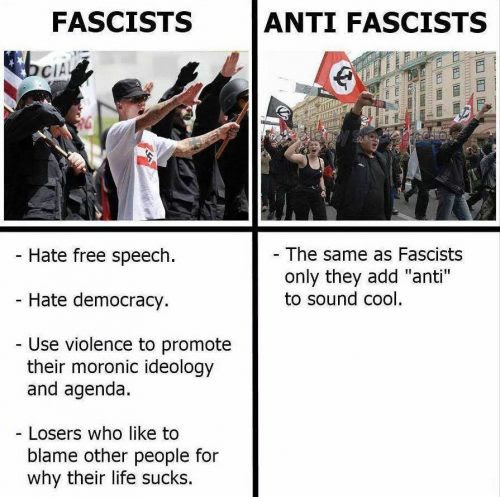 Good luck with this left-wing Jihad! Mayor Bill de Blasio’s monument commission is considering whether a statue of the famed explorer should be removed from Columbus Circle in Midtown Manhattan. De Blasio wants to rid NYC of bad characters. GDP Up To 3% -- Where’s The PravdaMedia Headlines? How pathetic! The Pravda Media just cannot highlight this major checkpoint that is a reflection of the quality of life for the American People! The GDP is The primary metric for economic activity, job growth and economic health for the American People. Why can’t the Pravda Media just put aside their total immersion in the Obama-DNC institution and highlight this indicator of better economic things to come for the American People. Really? 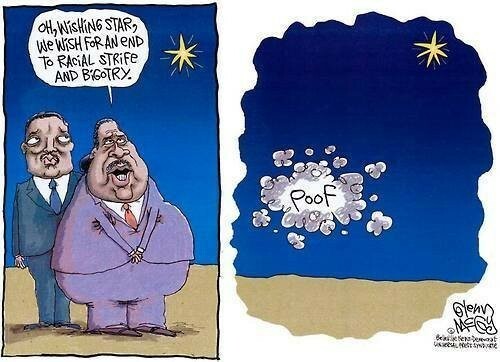 ---- What a sad sack of losers! President Donald Trump hailed the latest figures, declaring "we are really on our way." 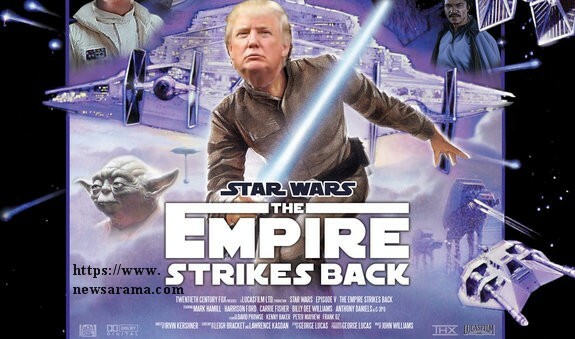 Trump said if the economy is able to sustain growth at a 3 percent rate, it would create 12 million new jobs and $10 trillion in new economic activity over the next decade. To the bottom-shelf of our educational priorities? How did liberal arts and law become The preferred courses of study? Oh Right – the schools of engineering and science are a subset of The Colleges of Arts and we all know who’s in charge of those. Just look at UVa’s list of departments in the College of Arts and Science as an example of the minimization of ‘The Science’ programs. Who takes this stuff – and what jobs do they get – and who’s paying for this stuff? The slighting of math and science starts in elementary school where ‘the hard courses’ are viewed as something to be avoided. Also, many math and science graduates who intended to become teachers have been ‘hired-away’ by industry leaving a shortage of math-science teachers in our class rooms. We have let our core competency of math and science slip away to others who attend our top schools and then get hired by our hi-tech companies with Visa’s and then take their skills and knowledge back to their home countries where they out-engineer us. Many of these companies have established manufacturing plants in the US that support many hands-on jobs. However, the profits from these products go back to ‘their homeland’ and support the R&D for new products that continues their leadership success. Another sad result of the adverse consequences of the left-wing’s ‘War on Big-Bad-Profits’! If we are to regain our product leadership in STEM, we have to start in elementary school. For example, you cannot take the required STEM course sequences in high school if you haven’t taken and mastered Algebra in middle school! Parents, teachers, guidance counselors and mentors must encourage and assist those students who have the aptitude to succeed in these courses and ultimately STEM jobs. We go out of our way to mentor football players – why not STEM players? How much ‘in-kind’ free campaign support can the RT Editors give to Northam without violating election laws? Oh Right – it’s not free ads, it’s news! Really? The McAuliffe-Northam so called ‘team’ have been in office for four unpleasant years. Never mind what they say – what have they done for rural Virginia? They have been generals in Obama’s War on Coal – with devastating negative impacts! They have been coddling violent illegal immigrants through their Sanctuary City Jihad whose violence came to Bedford. They have allocated state funds to the advantage of those at the beltway to the detriment of rural Virginia. They have done their ultimate to put men in the girls bathrooms, locker-rooms and showers in our schools. 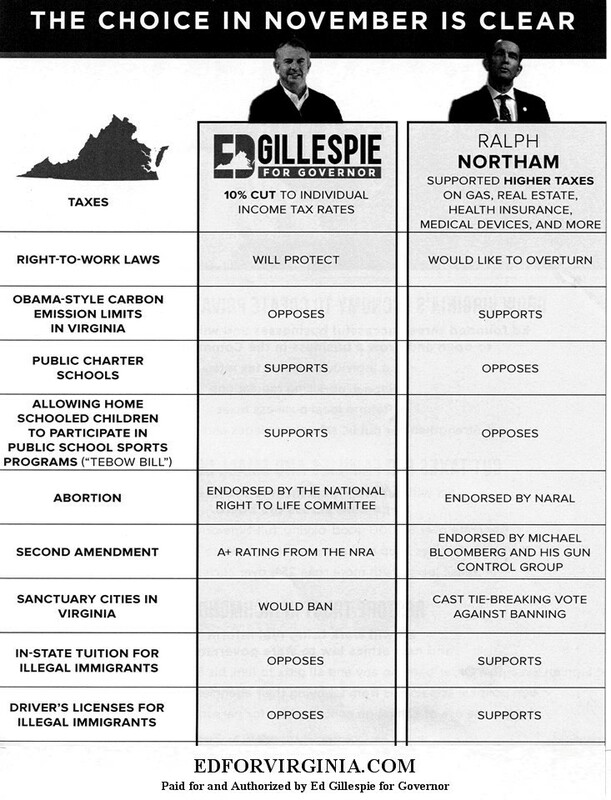 The Roanoke Times Editorial Ads for Northam neglects to focus on the REAL Difference between these two candidates. These differences are important to All Virginians and Gillespie will represent ALL Virginians and be an inclusive leader. Really? Trump has made very clear his moral equivalency is his disdain for all violent anti-American elements! Joe Biden “The Prince Of Nasty” Embarrassed - Really? White House Biden Workplace Sexual Harassment-!!! Where is Louise when Thelma needs help? In harmony with their stated mission, the ACLU went to court to support the “Free Speech” rally in Charlottesville. 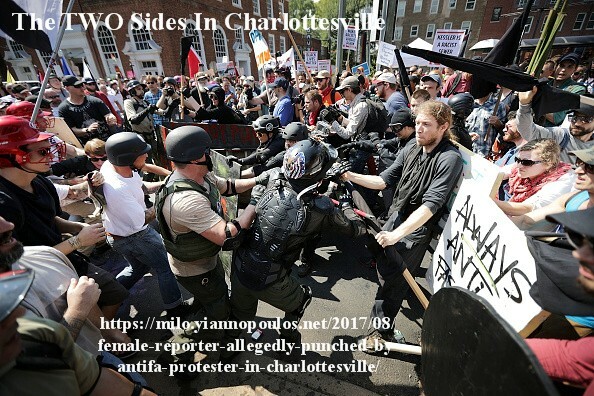 Big Problems developed when the mayor of Charlottesville and the Governor failed to plan and implement a crowd-riot control plan. The rally deteriorated into a nasty riot. A deranged person drove his car into a crowd hurting many and killing a young woman. The ACLU now has a serious issue. Not wanting to ‘out’ the mayor and governor for gross incompetence and malfeasance (they’re both left-wing democrats); the ACLU is now going to determine what ‘free speech’ they support and what ‘free speech’ they will Not support. 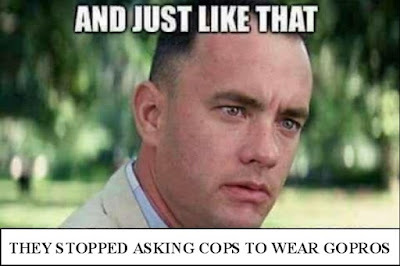 They never had that problem with the Black Panthers, Weather UnderGround or the Black Lives Matter Gangs! 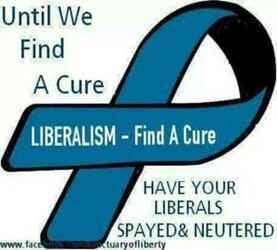 Left-wing, liberal, progressives can be so selective! If they don’t follow their mandate, how can they keep their credibility and tax-exempt status? Where’s Lois Learner when we need her? Crooked-Hillary’s ‘Skin Crawled’ – How Gross Is That Image? 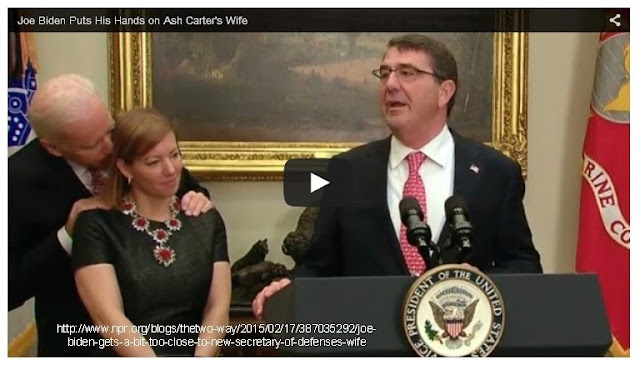 Talk about ‘skin crawl’ let’s look at VP Joe Biden doing ‘a job’ on Ash Carter’s wife – at a news conference no less! Makes one’s ‘skin crawl’ to think what he did to her later. Did Crooked Hillary’s ‘skin crawl’ when Bill’s sexual abuse victims describe their ordeals? Did Crooked Hillary’s ‘skin crawl’ when reading the details of Bill’s sexual abuse of Monica (on the front page of the NYT)? It made everyone else’s ‘skin crawl' ! 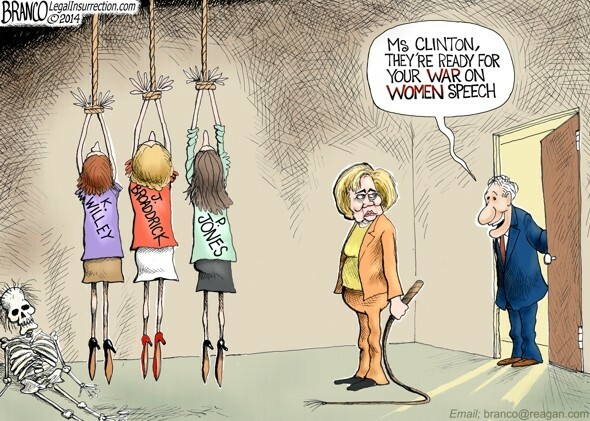 Crooked Hillary’s attacks upon Bill’s sexual abuse victims made everyone’s ‘skin crawl’ who cared about ‘Bill’s Sexual War on Women’! Crooked-Hillary and your Pravda Media – spare us any future details of your skin or any other part of your being. Trump’s rant against the PravdaMedia at his Phoenix rally appears in-tune with Mark Twain’s View of The PravdaMedia! No Trump Rally in Phoenix last night! The first half-hour was dedicated to them and their PravdaMedia associates! 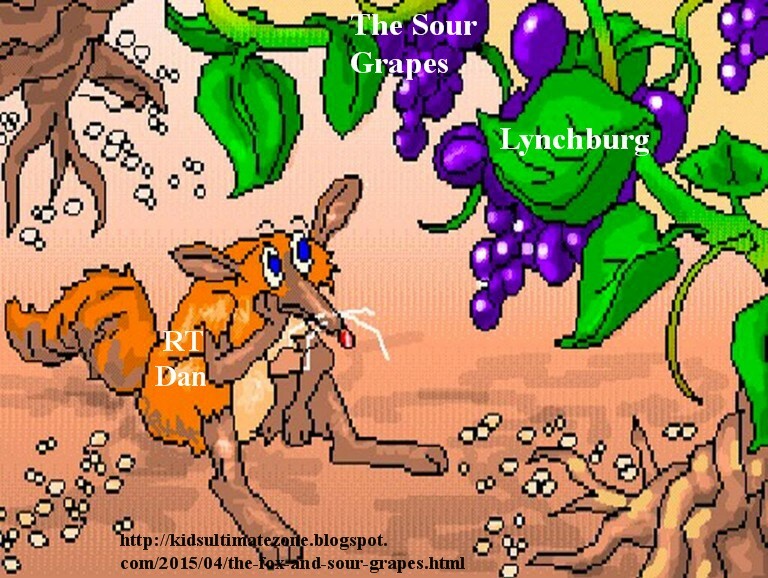 Sour Grapes Clutter – Really? Instead of draping inanimate historical granite statutes, The Charlottesville Democrat Mayor Signer should be draped in black-tar and feathered and then run out of town on a rail! It wasn’t the statues that failed the obligations and responsibilities of “Protecting the Public from Harm”! It was incompetent Mayor Signer and his duplicitous bud Democrat Governor McAuliffe! The ‘security plan’ for this event was so flawed that conspiracy-theory people (google the web) are claiming there was collusion to cause chaos as a pretext for mobilizing ‘the left’ for the upcoming election. Now that the Mayor’s malfeasance resulted in disaster – let’s throw a rug over some statutes. Really? How sad is that? Austin (Democrat) Mayor Steve Adler will head a group of mayors from around the country in a national anti-bigotry effort that arose in response to the violence in Charlottesville, Virginia last weekend. Mayor Adler should spend time in the state museum in the lower-level of the state capital building! He would discover that Texas was a major slave entity long before the Confederates and the War Between the States that Texas joined on the South’s side. 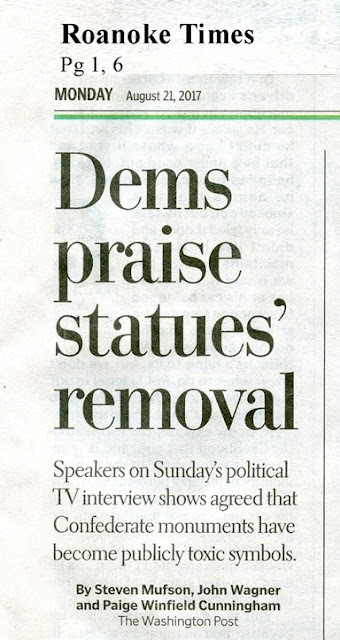 He should be tearing down the statutes of Stephen Austin and Sam Houston and the other Anglo-Mexican-Texans who brought slaves into Mexico where slavery was already outlawed and then launched a war against Mexico in order to size the land and ensure acceptance of slavery. Mayor Adler – stop your hypocrisy and show your anti-bigotry leadership and get all those Stephen Austin and Sam Houston statutes down and then rename those two cities to some appropriate Mexican names. Don't bother to stop by Virginia until those jobs are done. There is a tsunami of “don’t look at the eclipse” (without proper glasses) in the media this week. The eclipse is here right now! It's 2:30, it's getting darker! I don’t have special glasses! Should I take a risk and look? 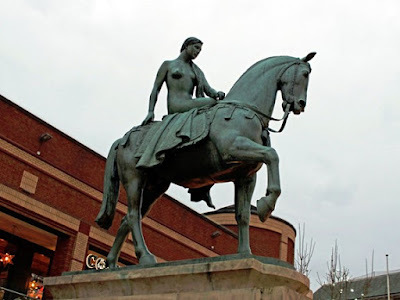 One is reminded of Lady Godiva's Famous Ride Through Coventry in 1057. The King proclaimed: look and you will loose your eyesight. I’m going to risk the left eye! Rumor has it that the Charlottesville NOW Girls are on their way to tear down this reminder of Peeping Tom’s offense. It is alleged that the memorial to Peeping Tom’s Left Eye is on the back of every US Dollar Bill. What to do with that? BUT our PravdaMedia was too busy covering the rallies and statues to notice! How sad is that? Roanoke Times,8-20-2017, Pg 1, 6: Virginia coal is rebounding, but is Donald Trump to thank? Really? After years of embracing and supporting Obama’s War on Coal and its devastating impact on South-West Virginia and the Roanoke Valley, the RT Editors are now opining that coal has stabilized and it can’t possibly be credited to Trump! What a sad group! Get a life people! Roanoke Times, 8-12-2017, Pg 6: Anthem leaving Virginia’s state’s (ObamaCare) Individual Exchange. There goes coverage for 206,000 people in the Virginia individual health insurance market. What are the Democrats doing to fix “their” profoundly broken program? Answer – Nothing! Roanoke Times, 8-17-2017, Pg Va2-1: Mark Warner (D-Va-US Senator) pledges to end state’s food deserts (at a new grocery store in Danville). Perhaps the good democrat senator could start with a list of reasons why small stores, grocery stores and even convenience stores are hard to find in center cities. These stores and the people who work in them are the constant and intense victims of crime! 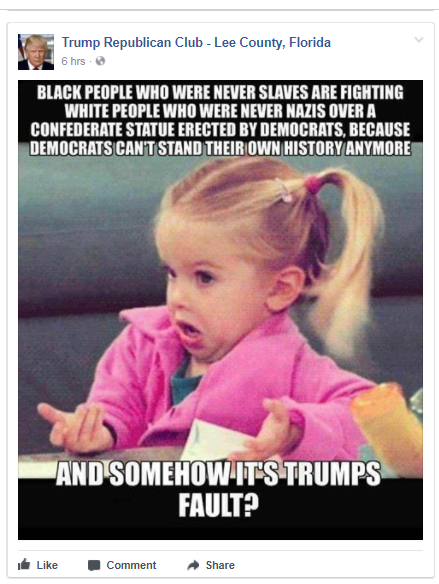 And what places get burned down when folks are angry? How does that relate to their insurance costs and coverage which usually excludes riots? Question To Mark Warner: What are you going to do to solve these root causes of “The Food Deserts”? You forgot to address any of this in your news and photo op! Just keep supporting Sanctuary Cities --- aiding and abetting urban-criminals – what a leader! How about you Senator standing “guard duty” at one of the Danville center-city convenience stores every night for a week? Suggestion: have the Roanoke Times editors help you on the midnight to 7 shift. USA Today, 8-11-2017s, Pg 5A: GOP loosens government grip on land. More than 25% of the country is owned by the federal government and that doesn’t count the State and Local lands! Talk about Socialism and Communism Government Ownership! 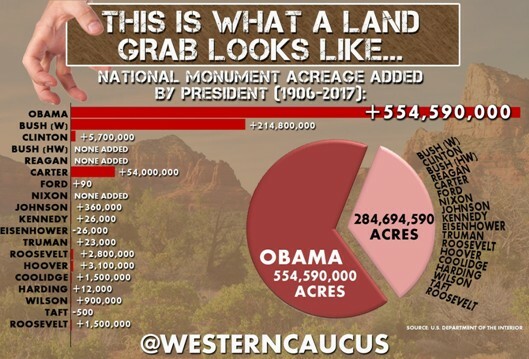 This was the context in which Trump slammed Obama’s 'massive federal land grab’, and called for review of national monuments that were used as the guise for this federal abuse. Let’s all sing along with Woody: This Land is Your Land – NOT! Congratulations to the Gov of Massachusetts, the Mayor Of Boston and all those police officers that protected the public. The Gov. and Mayor focused on their responsibilities in stark contrast to Virginia where McAuliffe and Singer were focused on making political statements and posturing at the expense of Public Safety. Sad! 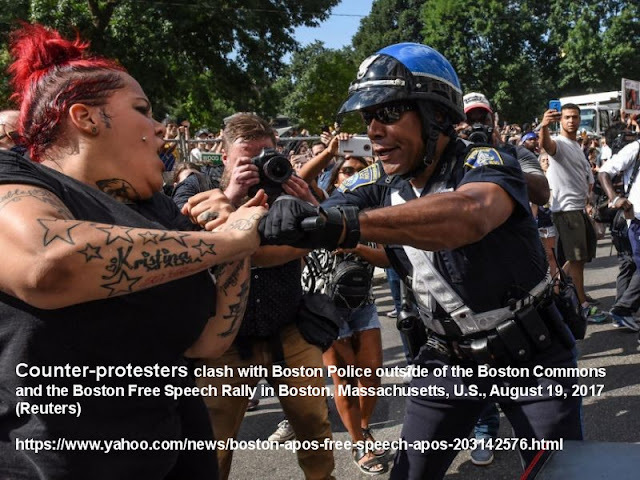 Focusing on the anti-American KKK thugs and the horrors of slavery in a New England setting; and specifically in Massachusetts is very appropriate. Most, if not all, of the limited 17th century New England slave trade was in the hands of Massachusetts. Boston merchants made New England's first attempt at direct import of slaves from West Africa to the West Indies in 1644 …. by 1676, however, Boston ships had pioneered a slave trade to Madagascar, and they were selling black human beings to Virginians by 1678. Massachusetts merchants and ships were supplying slaves to Connecticut by 1680 and Rhode Island by 1696.